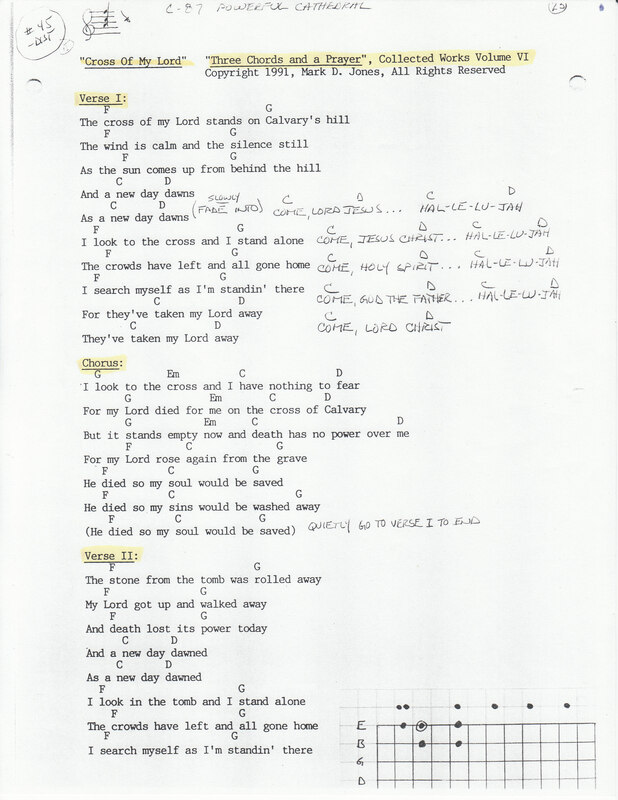 Easter is fast approaching, so I thought I’d post the only Easter song that I’ve written – Cross Of My Lord – before the season of Lent is over and the Easter celebration is completed. The lyrics are really quite powerful, in a reflective, introspective and personal way, as we examine our own personal relationship with Jesus and the cross. The song tells the entire Easter story through the eyes of an eye witness observer of the life, death and resurrection of the Lord Jesus Christ. 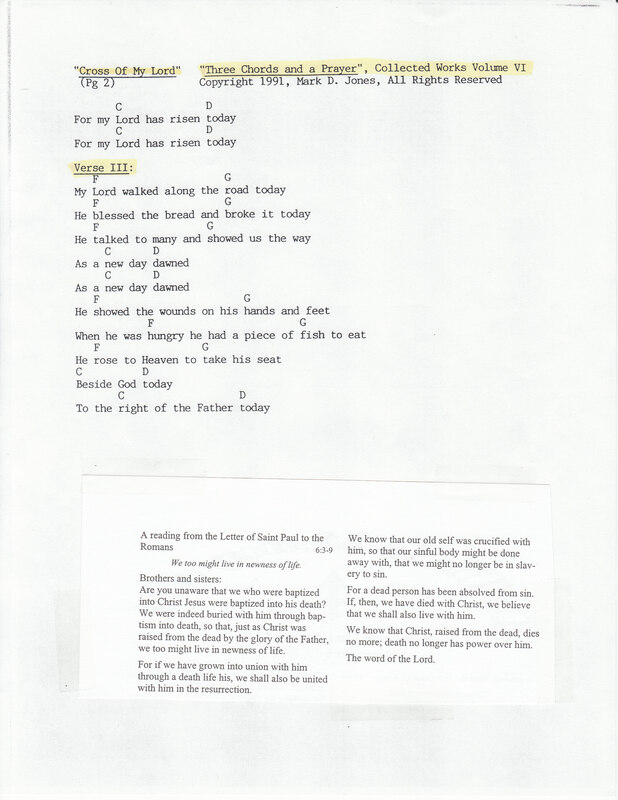 In verse one, the crucifixion of Jesus is over, the crowds have dispersed and all gone home, and it is the next morning as the sun rises and a “new day dawns.” From the lyrics we understand that the observer followed Jesus, observed his triumphant Palm Sunday entry into Jerusalem, knew his teachings, watched the crucifixion with the crowds, and has now returned the next morning to contemplate the meaning of the empty cross. The crowds have all gone home, and he finds himself alone, face to face with the cross of his Lord – trying to understand the events of the day before and what the empty cross means to him personally. In verse two, the observer and eye witness looks upon the tomb of Jesus, with the stone rolled away. Again, the observer has arrived after the crowds have departed as the sun “dawns on a new day.” He or she searches their heart for the meaning of the empty tomb and steps inside to see where Jesus defeated death and walked away. The observer notes that “death lost its power that day” as Jesus rose from and defeated death once and for all. The chorus echoes the reflective, introspective and personal relationship the observer has with Jesus. The cross remains and the fear is gone, because Christ died for him and “death has no power over me” – Jesus died to save his soul and wash his sins away. As the song ends it slowly fades into a refrain that asks for Jesus and God the Father to return and for the Holy Spirit to descend upon us – Hallelujah. This entry was tagged Christianity, Forgiveness, Human Condition, Life, Love, Music, Original Songs, Songwriting. Bookmark the permalink.